We all know sleep is one of the most important necessities in life and quality sleep is preferred. As a mom of three, my main goal is to make sure everyone gets to sleep at a reasonable time and sometimes this means I may have a few extra little people in my bed whether I like it or not. I’m sure many moms and dads can relate when you have kids in the bed, you may be inched off the bed slowly during the night as little ones turn and toss. I’ve come up with some tactics to save myself some space, but it also means my pillow ends up in a very unnatural position. I’ve noticed the past year or so my regular down filled pillow is not what it once was. Sure, it’s had plenty of use, but I’ve been on the hunt for awhile now for a new and improved pillow. Sometimes I’m so exhaled from my daily activity I may barely move in my sleep and in some ways this is good for my body, but when I wake up my neck is usually in knots which will last for days. 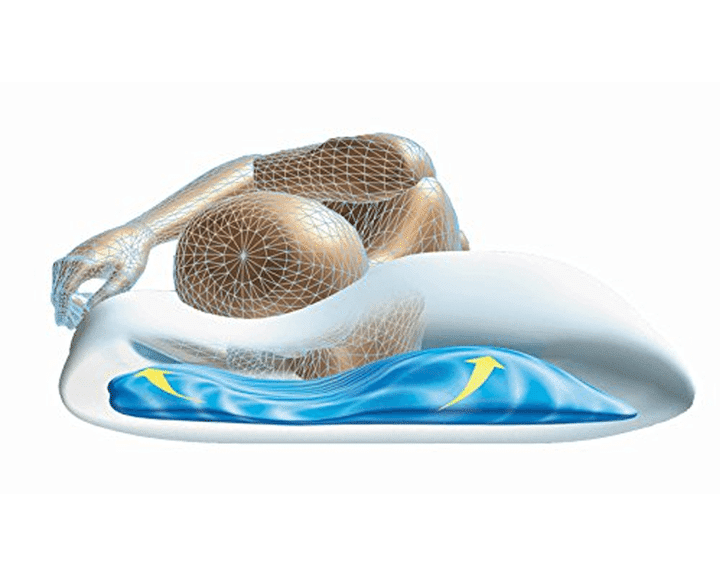 I’ve been watching the commercials on TV and was just about to take the plunge when I was contacted to partner with The Floating Comfort Pillow by Mediflow. 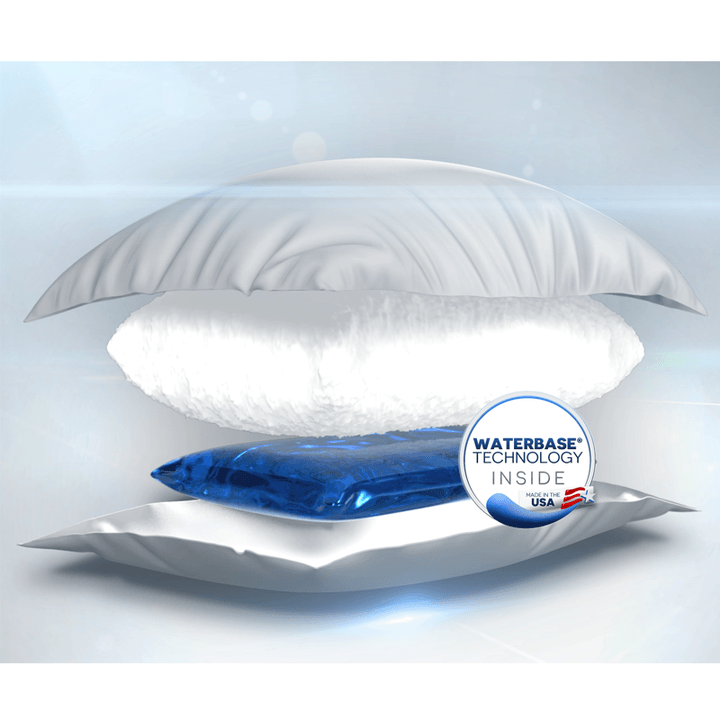 This pillow is in a class all of it’s own and features an exclusive water base technology. 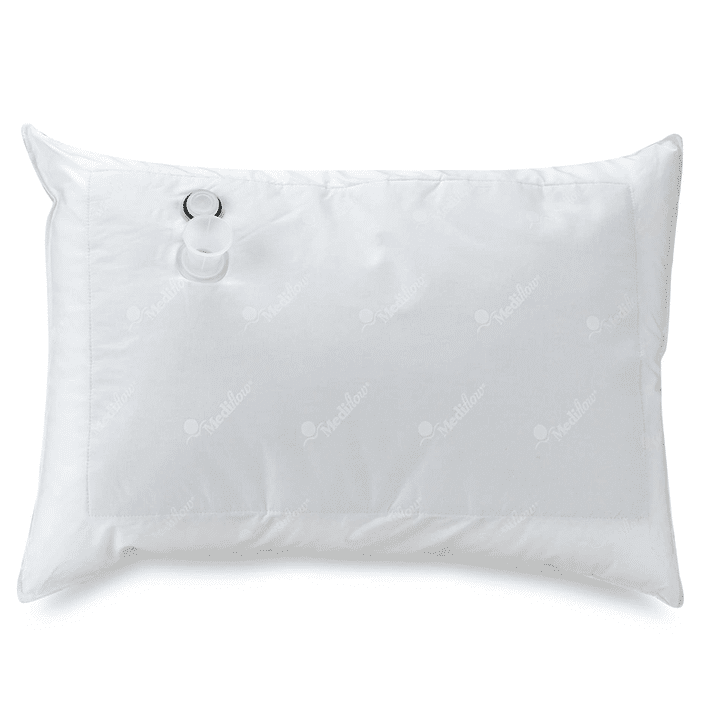 According to a study conducted by Johns Hopkids University School of Medicine, it’s the only pillow clinically proven to improve the quality of sleep. When I first received my pillow in the mail I was a little skeptical. I come from the world of visiting a big box store and touching and feeling about 25 pillows before taking a chance on one. The Floating Comfort Pillow had an instructional manual that explained everything in simple terms. The thought of pouring water inside a pillow still was cracking me up but I went with it! I followed the instructions and kept filling the pillow up. I selected the least amount of water since I like a fairly soft pillow. The pillow became heavy which was instantly unusual to me but of course made sense with the water level. My first nights of sleep did not go well. I clearly had added too much water and gave myself a very bad neck cramp. I decided to pour out some of the water and lucky for me I did! I have the perfect pillow now and i’m not exaggerating when I tell you I’ve had some of the best nights sleep of my life the past couple of weeks! 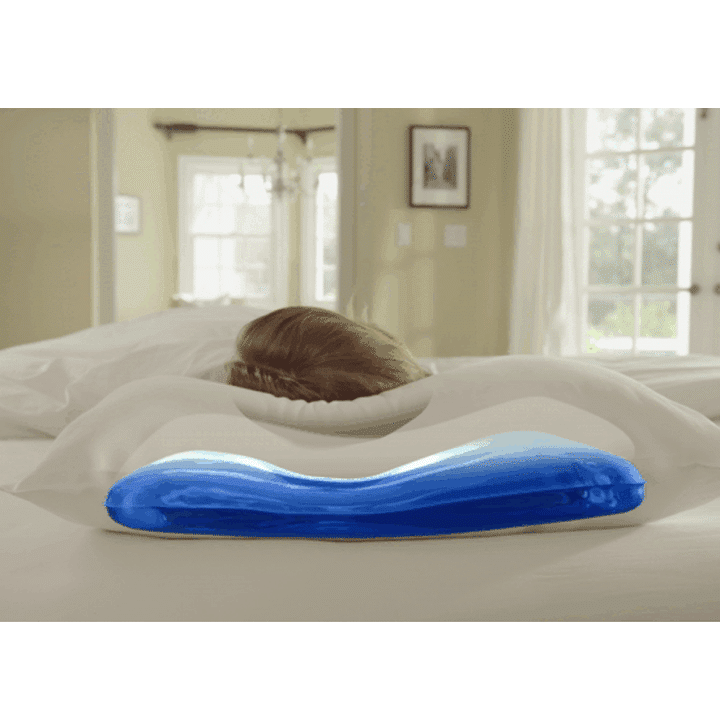 Whether I’m sleeping on my side, back or stomach, this pillow adapts and never softens or flattens out because of the water. I’ve had zero neck cramps and can’t believe how my quality of sleep has improved. I can tell my alignment is much better and I honestly can’t believe I went so long sleeping on an old, bad pillow. As a mom sometimes there is nothing we can do to get more hours of sleep, but at least now when I get my zzz’s, the quality is SO much better! If anyone is looking for a Mother’s Day gift or Father’s Day gift this pillow would be perfect! 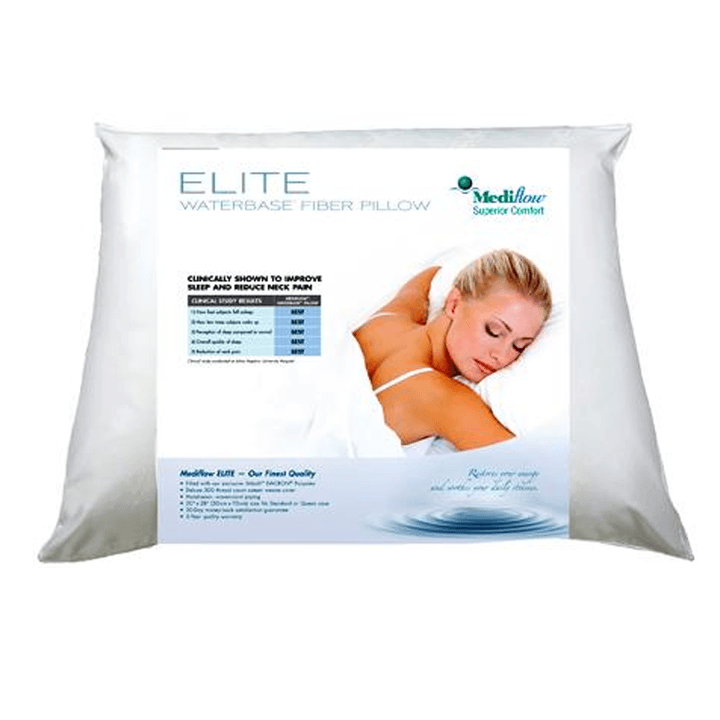 There is no better gift than a good nights sleep on a water pillow! It retails for $49.99 and can be ordered from Amazon.